Since 2004, Joost Oosterling has been Managing Director and co-owner of the business development group Swilion Business Development. Joost’s focus is on the financial management of start-up and turn around companies. 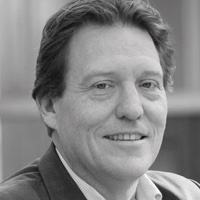 Joost has held various positions in management, supervisory and advisor to the boards across a wide variety of companies, including wind turbine manufacturers, a vegetable juice producer, a metal production company, a manufacturer of waste water treatment plants and a drinking cup manufacturer. Prior to joining Swilion, Joost worked in the financial industry. He started his career with the Amsterdam Stock Exchange, where he was active in product and business development and became manager of the clearing and settlement department of the exchange. Joost then joined Kas Bank NV, where he was a member of the board for the institutional banking division. Joost is a Certified Financial Manager (CFM) and Certified Management Accountant (CMA), Institute for Management Accountants (IMA), USA.